I've been playing guitar since 1979 and after tearing apart and rebuilding many of my early instruments, I went to work for several retail stores and did repair work for them. 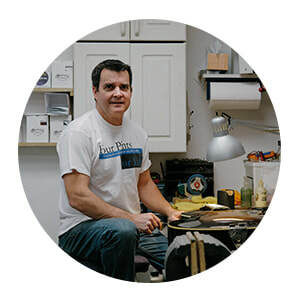 My formal training started in 1995 when I completed a 2-year apprenticeship under luthier, Dave Plummer. After that I started my own repair shop and operated that for 7 years until I opened The Lutherie Shop.